The paradox of novel and useful perspectives is that they seem so obvious after the fact—because they make sense of a problem or situation. The right perspective can make a problem easy. Most scientific breakthroughs and business innovations involve someone seeing a problem or situation differently—having a diverse perspective. Problem solving is an innovation process in which improvements build upon improvements. Vern Burkhardt (VB): What sparked your interest in the effects of diversity? Scott Page: I went to graduate school to study institutional mechanism design. Such as, how do markets work? How do democracies work? I studied General Equilibrium Theory in economics. It was primarily about producing cars, houses, and washing machines, and such things. It led me to think about what does an economy look like where people are solving problems by making forecasts as opposed to making physical things. If we are going to make a hundred cars, you see the benefit of having more workers. The more workers the faster we can dig holes, the more cars we can make, the more washing machines we can make. That's clear. But if we're trying to figure out what you do with the money supply or how to design a computer chip, it's a little more complicated. It's more subtle to ask in these cases, why do I need more people? I was trying to figure out why. How does that work? Why are more people better? I concluded, you need intelligent people, so ability matters, but it can't be pure ability. It's got to be diverse ability. If we're all the same, obviously we can't be very innovative. Having a hundred of us would be no different than having one of us. What led me to write a book about the topic of diversity was the notion that ability is what puts the cake on the table, so to speak. The more money you make, the smarter you are. The bigger and better your reputation, the smarter you are. There's some notion of "betterness." The problems we now face are so complicated and so multi-dimensional that lots of different people make contributions. The way we're collectively going to solve things and get good policies, get good products, and respond to challenges is by having people who think about the world in a different way. By having people who have been trained in different ways, have had different experiences and, in a figurative sense, are all putting their diverse shoulders to the wheel. VB: The "meat" of The Difference: How the Power of Diversity Creates Better Groups, Firms, Schools, and Societies is that diversity produces benefits. In fact you say, "diversity trumps ability." Did you expect to draw this conclusion when you began your research into this topic? Scott Page: No, not in a way that I would be a different person—no sort of pun intended. I didn't have a normative axe to grind, so I didn't set out to demonstrate or prove any assumptions or hypotheses. To the contrary, I started by asking myself, "I wonder what matters." I think the common conception of why diversity is valuable is the insurance model—it's a form of insurance. It would be analogous to you needing an umbrella in case we have a rainy day and sun blinds for a sunny day. I was looking at something entirely different. Suppose you're trying to come up with something new and interesting while you're trying to solve a problem. VB: You used math to examine diversity. Scott Page: When I used math to look at diversity in the problem-solving context, diversity seemed to matter a little more than ability. And when I did a predictive model, using mathematical analysis, I also drew this same conclusion. Those aren't political statements! And there's a question to what extent are there common conceptions of diversity—identity diversity and experiential diversity? How do those translate into cognitive diversity? I'm surprised and fascinated by it all. It's fun discussing the book with others, because I think it is a good starting point for thinking about what we should value and encourage. VB: What is an example of what we should value and encourage? Scott Page: No one that I am aware of has bumper stickers on their cars saying "my child is different." But there are lots of bumper stickers saying "my child is an honour student." That's the thing—that's what is so surprising about what comes out of this. We appear to be sporting the wrong bumper stickers, or more clearly, we are focusing on the wrong target for our children's future success. VB: But ability still matters as much as diversity, doesn't it? Scott Page: Yes. Ability still matters, but the point is that most of these things are very pragmatic. We think of ability as a personal characteristic and diversity as political. I think we should think as both of them as pragmatic things. VB: You posit the Diversity Trumps Homogeneity Theorem. It might be said that homogeneity applies to a company's R&D department. Outsiders such as consultants add value by being different—by having a different set of core tools. How important is it that businesses use an external innovation network of experts as an integral part of their product development and process improvement? Scott Page: Within any corporation's R&D department they've got to take particular routes. They've got to say, "This is the way we're going to go about trying to make innovations in this particular area." There are going to be cases in which the approach they decided to take may be working really, really well. It may churning out lots of innovations at regular intervals. If that's the case you continue to walk that dog. One of the things that I pointed in the book is, if you think of an approach as being a representation of the problem, you effectively lack all other possible perspectives. You're accumulating heuristics—ways of solving the problem or making improvements given that representation of the problem. At some point you're probably going to reach a state of diminishing returns. In any given representation there may be problems that appear really difficult, that in some other representations may be very straightforward and provide the insights needed. The metaphor biologists use is "adaptation on a rugged landscape." But you could be at a local peak in your landscape and depending on how you perceive it. You may be led to think this is about as well as we can do. But if somebody represents the problem in a different way, the peak for you may not be a peak for them. The idea is that a consultant or some other outsider can be very helpful. It isn't that they are necessarily smarter than you. The key is they are different than you. And this difference is in how they naturally or innately think about what is important when they see a problem or a situation. It's incredibly valuable to the extent you can access different ways of thinking quickly and easily, and you can evaluate their opinions quickly. You're missing an opportunity if you don't exploit the diversity of outside experts. Where it becomes more interesting—and I wish I had spent a little more time in the book on this—is in those instances where you can immediately test an idea. For example, when you say, "I need a chemical compound that satisfies certain properties you can immediately, at very low cost, determine whether the solution works. You have to question, "Why wouldn't you go to outside experts unless you would be giving away some company secrets. Why wouldn't you try to harness the incredible ways of thinking and of solving problems that exist outside your organization?" If it is costly—suppose we're designing a dress or writing a novel or designing the dashboard of a car—there's no oracle. There's no quick way to see how good a proposed solution is? In those situations it can very costly and have huge communication problems. If it is something that's got to be coordinated, such as you've got to re-write a chapter of a book, it can be very difficult to do it in a decentralized way. So the extent to which something can be peeled off and quickly tested, it seems there is an incredible opportunity to use external networks of experts to generate innovation. A firm should take advantage of it. After all the notion of "innovate or die" is true—firms that don't pursue the adage of innovation where possible will probably be the ones that will likely not survive. VB: The ones that can't survive in the ever-increasing challenges of technology and competition. VB: People in a group adopt common perspectives—a type of groupthink that reduces perspective diversity and inhibits the ability of the group to find good solutions. The use of jargon and acronyms is one of the signs of groupthink. In your professional life at the University of Michigan, do you insist on jargon-free and acronym-free communication? If so, does it improve communication and understanding? Scott Page: I think it is very hard to get past acronyms but we should try. If you're in a seminar in the economics department or the political science department, there is an understanding that you understand a minimum level of the extant acronyms. You almost need to pass a jargon threshold to communicate! At the University of Michigan there are a lot of interdisciplinary seminars and, in those seminars, the norms are to avoid jargon at all cost. Oftentimes when a speaker is introduced, that person will say will say, "Why don't you introduce yourselves and tell us what departments you are from." I do this especially if I will be talking about complex systems and ideas. Often we will be talking to two physicists, four sociologists, six medical doctors, seven economists, three political scientists, and seven people from the math department. You don't have to say to the speaker, "Don't use jargon." Because they recognize when there are people from seven to nine departments, who have come to hear them speak, they have to present in such a way that they can understand and follow the speaker's thoughts. In these types of cases you have to be clear—this is our culture, you can't use acronyms and jargon. The presenter needs to be aware they're talking to an incredibly intelligent and diverse group of people. Hopefully the speaker will recognize that the best way to ensure value is received from the interaction is to not say, "you seem to have a mild contusion on your patella," but rather to say, "you scraped your knee." So it's not a big problem. It needs to be considered as okay when somebody uses jargon, you can respectfully tell them, "I don't know what you're talking about." I was at a seminar where somebody was talking about doing genetic experiments—map-out experiments where they mapped out genes and they had moose. I thought well, that is pretty interesting. Then I found out we were going to have a moose lab. I thought that is incredible! You have a lab with moose? The instructor replied, "No, mice. He's Austrian." Half the room laughed at me—like how could I be so stupid —and the other half thought, "Thank God! I thought it was ‘moose' too." VB: Plain language is key to sound communications and ensuring understanding, isn't it? Scott Page: Yes. On the other hand we can't go to the extreme. It is important to have technical language to get particular points across. But not just for the sake of speaking in jargon. If someone says, "I'm putting an energy function on," you may have to reply by asking, "What is an energy function?" There's a reason why scientific language exists and the reason is because it is precise and it speeds communication of complex ideas. So there are places where you can use it but as a general rule I'm anti-jargon. VB: You say that Bain and Company unfortunately relies on what it calls the 80/20 perspective—focus on the most important fifth. Why do you consider this perspective unfortunate? Scott Page: Not that a consulting company can do everything, but I think one of the things they should be able to offer their clients a substantial number of ways of thinking about problems, not just a single lens to solve problems. If you communicate, "This is our only hammer and it is our only tool," then you are going to sometimes be chopping down trees with a hammer. What you really should have is an ensemble of ways. It could be that the 80/20 rule is a very valuable hammer, because when you originally created it there were enough nails, so you'd do fine. You're going to find yourself in situations where there isn't a nail—and then the question is, can a company stay like that? All we have is a hammer and there are no nails. My guess is that they are going to chop down a tree with a hammer. That's going to be an ugly mess. VB: You point out the triteness of the expression "thinking outside the box" and state that in any event we can't think outside of our perspectives—they are complete representations of our reality. Rather, new perspectives rearrange the contents of the box, and new heuristics related to a perspective create unexpected movements within the box. Is one of the inhibitors experts face in their attempts to be creative and innovative the very expertise they have learned over the years? Scott Page: Absolutely. Let me give you an example. Economists could analyze models of standing ovations at public events using complex adaptive systems. The work could be done by highly trained economists—such as graduate students. They could do all sorts of excellent mathematical analysis on this question with great results. But if you give that same question to a non-economist, one of the first things they'll do is think people go to plays usually as couples or sometimes in groups. A member of the audience's decision to stand will be a function of whether the person you are with stands. Which makes a ton of sense. You might say the economists' perspective is because they never go to plays or sophisticated performances! Or you might say that economists don't get dates and that is probably true—at least partially true. The fact is, if you are a highly trained economist on how to do models and these models always have individual assets, they're not based on groups of assets. So it never occurs to someone trained in economics to consider simpler solutions, because it is ingrained in their thinking to use mathematical models to analyze these types of questions. With 200 people in the auditorium there are 200 individuals—each getting a signal about when to stand for an ovation. But someone who is not an expert may think of options such as, maybe there are 100 couples there. Maybe there's 80 couples and ten larger groups. The conclusion could be that whether you participate in a standing ovation is strongly influenced by other people in one's group or the person you went to the event with. It seems logical that if I go to a play with my wife and she is quick to stands up to give an ovation, I would have to really hate the performance not to stand up. So I think it is the case with expertise. The world is a complicated place with interactions of all sorts of variables. Complex models have complications even if one is dealing only with nine things, because one can't understand the deep interactions between those nine things. If I throw in a tenth variable it could result in 40 more interactions I would have to take into account. I couldn't handle that many because it would make my already complex model way too complex. VB: And the mind can't deal with such complexity of interactions. Scott Page: That's right. That's why economists can't put groups in their sophisticated mathematical models. The result is a tendency to be unwilling to move in directions not previously considered because it is not as comfortable. VB: It has been shown that intelligence tests are not good predictors of success. You introduce "the toolbox framework" as a more useful approach—it includes our knowledge, skills, abilities, heuristics, interpretations, and perspectives. What would be the implications if universities used this approach for admissions rather than IQ and Scholastic Assessment Tests? How could employers use this framework when hiring? Scott Page: Many companies give people tests when they are hiring new employees or considering promotions. Suppose a company gives a large number of their employees a ten-question test and a large proportion of them get nine questions right. And they all answer the same nine correctly. One person gets only eight of those ten questions correct but correctly answers a question everybody else answered incorrectly. Well you should hire that person even though she didn't score highest on the test, because she's got something that nobody else has got. VB: You're hiring for diversity? Scott Page: That's what you want to do. I think a lot companies hire the person with the most tools. Alternatively you might say, "No, what we want to do is look at the entire collection of tools that exist across all individuals in the workgroup or the company." Under this perspective you might hire someone who would not be ranked the highest based on the established evaluation criteria you are using. For example, at the University of Michigan we admit people into our graduate program in political science using the principle of diversity. We may take someone who looks not quite as good overall, yet that person has a ton of skills in a particular area. It could be knowledge of Lithuania, physical skills, or whatever. We consider that this isn't a cookie cutter person—rather that person is bringing a lot of skills nobody else possesses. The whole graduate student cohort will be helped by such applicants' contributions, by their diversity. The weaknesses that they've got may be possessed by everybody else as strengths, these weaknesses will become strengths through the interaction with other students, but with their diversity we're all better off. VB: You actually consciously take that approach? Scott Page: Oh yes, absolutely. VB: You comment on the benefits of diversity within oneself. People should acquire a variety of tools—diverse sets of perspectives and heuristics. How can one consciously do this? Scott Page: Study well-established disciplines, learn something like Game Theory or Network Theory—any well-established branch of knowledge. If you acquire very different knowledge from your normal work or study area you are gaining a different perspective. Also try reading history or having unique experiences. Having a different set of experiences, for example, serve on a school board. Doing these types of things for the public good makes a contribution and yet what you get by serving on public bodies is a very different perspective of how different organizations work. And how public bodies work as opposed to how private bodies work. By putting yourself in new situations and giving yourself new responsibilities you'll get a more diverse perspective—a good thing. VB: You say that one great discovery by a person may be luck, but if someone consistently makes positive contributions to problem solving they have either an impressive or a unique toolkit. Is that the secret behind the success of most well-known inventors and thinkers? Scott Page: What are the characteristics of people who are great inventors? One organization we looked at examined who were their most successful scientists. It had nothing or very little to do with things like SAT scores, grade-point average while in graduate school, or where their degrees were from. It had everything to do with how connected they were to other people, to other scientists. How strong their scientific networks were. What's interesting about this is that exposing yourself to more tools, to more perspectives, is most useful. At Stanford Business School the focus is on both personal growth and professional growth. To be successful in business is like being a successful scientist. People who need to acquire a wide range of new tools and skills. That's not very surprising. But it runs counter to the idea that people who are born smart do better. If people who were born smart do better, it wouldn't matter if you kept moving around within an organization or among organizations, gaining new experiences, and acquiring new tools. In answer to your previous question on how do you gain perspective, there is a lot of evidence that having a number of different jobs in an organization, being in different roles in an organization is really useful. VB: Research data has led organizational theorists to conclude that cognitive diversity improves rates of innovation. What can we as individuals and as teams do to enhance our cognitive diversity? Scott Page: It's related to what we discussed in your previous question. When you think about what a team or an individual can do—they can recognize. Suppose we're working on a problem, any sort of initiative within research labs or firms, for example. We should think about what are the different ways in which we can try to solve the problem and to make sure we're not duplicating effort. Literacy is a very simple, straightforward idea, and if you want to gain in-depth literacy skills, you've got to make sure all in your team are not all reading the same books or the same research papers. Even when all are reading the same books and research papers, they need to have discussions to force themselves to think about different ways of interpreting what they are reading. Generally if a team in a research lab wants to understand something and needs to read seven books about the topic, rather than number the books from one to seven and circulate them so all team members read all seven book, have seven individuals read one book each, so that all seven books get read. This specialization of the task will result in different perspectives and the resulting conversations will be richer. Another thing I think is key is to create a culture in which it is okay to say something that is radically counter to how people think. I try and do this myself. For example, I may find myself agreeing with what everybody is saying and I feel like I'm becoming part of the choir. When I feel that happening it is incumbent upon me—if I want the group to do something worthwhile—not to play devil's advocate and say the thing is wrong. Rather it is to try and introduce a completely different way of thinking of the problem. Even if it is an idea or thought that I haven't thought through very well, it could be the one thing I introduce that somebody else in the room knows better and can extend the thought to a new perspective. Or I might shift the dynamic a bit so that people might open their mind to the fact there are other ways to see the issue or problem. VB: You created a model to explain how the collective prediction of the crowd is more accurate than the average individual prediction. Your model assumes that we don't have the madness of crowds. Would you explain this concept? Scott Page: The wisdom in the crowds and the madness of crowds can be explained through the same model. What is always going to be true is the error of the crowd is going to equal the average of the people in it minus their diversity. So if everybody is using the same perspective, there is no diversity, and the crowd is just exactly the same as everyone in it. The madness of crowd is basically the shared cognitive model that is wrong. If people have diverse cognitive models and they are wrong, because they're diverse, they won't be as wrong as they are on average. The greater the diversity the better the crowd is. If you have a diversity of bad models you're still not going to get the madness of crowds, because the diversity will mitigate against the errors of some of the crowd. Obviously if nobody knows anything, you're going to have incredibly high error rates and you're not going to have that much diversity, because there is no knowledge being brought to bear. So you're just going to get garbage in, garbage out. As you attain heterogeneity, the crowd is going to do really well. Consider the following experiment. I can create a world in which I've got ten models in play and we rank them from smartest to least accurate. It is pulling models out of the mix—like if they start having people who have the worst model and give them copies of the best model, the crowd will start doing better and better and better. But at some point when I start taking out models and making more copies of that model, we start doing worse and the reason is that at some point I'm sacrificing diversity for the ability and I'm collectively doing worse. VB: Given the superior wisdom of crowds, assuming its members are individually smart or collectively diverse, do we still too often rely on experts to make predictions based on their experience and theories? Scott Page: There is a lot of evidence that shows diversity can beat the wisdom of experts. Ideally what you want is a crowd of reasoned experts. But you wouldn't want one person making a decision, even an expert. But on the other hand you wouldn't want someone who is not informed by emperical data. Ideally you would like a lot of people with a lot of different perspectives identifying solutions and take the average of their ideas. Dialogue is incredibly useful because it can help you can find flaws in your own logic. At the same time the paradox is: if there is too much dialogue you get multiple copies of the same perspective and you lose the benefit of diversity. You want to create the madness of crowds within a group, similar to a how a group ideally makes predictions. I think something is going to increase by five dollars, somebody else says four, another three, somebody else two—we're all saying it is going to go up. We'll all have different reasons for it going up but collectively the wisdom of the crowd is correct. John Ledger at CalTech describes this phenomenon as like having a ping pong ball in a wind tunnel. Once people talk to one another all sorts of stuff can happen. VB: Would you talk about the magic that results from diverse perspectives? Scott Page: This is what I was trying to get at in the book. When you read accounts of incredible new ideas emerging in some sense it appears to be a black box, that something magical is happening, and this can't be true. The reality is though, if you allow for lots of different representations, and you think with diverse perspectives, you can re-order the possibilities. You can get something that feels like magic, because someone is able to come up with an idea that, after they put it forward, everybody realizes it is brilliant. Yet nobody can figure out where it came from. That isn't because the person with the brilliant idea is necessarily smarter, it is because they just saw it in a different way—a different perspective. Diverse perspectives sometimes give you the equivalent of more brain power because they give you more search power. They give you more places you can look for ideas and solutions. VB: You refer to the question of which problems a society should tackle or attempt to tackle as "the problem of problems." You say the current large-scale issues are environmental sustainability, world poverty, international security and disease. Are you optimistic that people with diverse perspectives and heuristics will be mobilized in order to solve these problem of problems? Scott Page: The problem of problems is strongly influenced by fundamental preferences. Like what do we really think is important? When we think about why we want to identify intellectually diverse groups, geographically diverse groups, or religiously diverse groups in order to figure out what a government or an organization is going to do, it is because what we define as a problem is often the most important problem. It is an open question whether or not traditional structures lead us to necessarily identify the most important problem. Consider the recent stock market crash. Even at a global level traditional warnings may be missed and something only becomes a problem or we really recognize something as a problem after the fire is already burning darn brightly. The prime mortgage crisis, as the media is currently calling it, is a serious example. People within the industry seem to have had the belief that bumbling gets rid of risk. I think that was the prevailing perspective on the problem. The perspective might be described as: you could combine things each of which was risky and the mix would go away. I think if they had looked the situation with a different perspective—perhaps if someone had observed, "You're making loans to people who aren't giving any verifiable information about their income or wealth and no one knows the cumulative amount of all such loans across the USA…"
If you see it in a different way, you say, "Oh, my God! Run, run, run. Stop this. Stop this." I think people did see it but maybe not enough people in enough firms. Certainly they were not listened to for corrective action to have been taken. Ideally what you would like from an anticipatory point of view would be to bring people with diverse perspectives, so you're more likely to obtain foresight that lets you make proactive judgments and decisions. I think you need proactive diverse perspectives to catch the fires before they spread. VB: You say that almost by definition breakthroughs require serendipity. Why are some people more likely to experience and recognize serendipity—is it more than just luck, like the invention of the ice cream cone at the 1904 St. Louis World's Fair? Scott Page: Edison and all the great inventors seem to suggest if you are really engaged in a problem, you're not just mentally accepting it in your frontal lobe. You're thinking about it all the time, so you're more likely to recognize something when you see it as potentially useful. You're more likely to see the uniqueness of the process. When a company is under duress, the generation of ideas may increase. Right now with the financial services industry, tons of ideas are being generated because the system is under stress. When you think serendipity favors the prepared mind, what's really going on is you've got many very bright people with different perspectives in the financial services industry. If somebody comes up with a good plan with all the ideas floating about you're more likely to have it recognized. Ed Glazer at Harvard has done a lot of work on increased productivity of workers in cities. You get a lot of high caliber people in cities, who are really deeply engaged in their problems, thinking about their work and thinking about the opportunities that they have. At the same time they bump into more ideas. These people are serendipitously bumping into more ideas in cities than they would if they were in more remote areas and, at the same time, their minds are prepared for anything that is going to jog some sort of improvement. VB: Who should read The Difference? Scott Page: It's not a two hundred page book that can be read on a single ride on an airline. I think that anybody in business, government, and the academy who is really interested in trying to understand in a very serious way—not through anecdotes but through logic—where does productivity come from in a knowledge economy? Why do people make their decisions or what conditions have to exist to make better decisions? When should we do something within the firm, when should we do something without the firm? So anybody who is really is interested in organizations, institutions and groups and how they interact. If I'm an artist who just draws big paintings or makes sculptures, I might find the book interesting as an intellectual experience, but on pragmatic grounds it isn't going to do much for you. Or if I run a company that sells cleaning supplies or something like that where the name of the game is doing something routine but doing it really well, I don't think my book is relevant for them. With those exceptions I think that almost anyone in business or government who really wants to take themselves seriously, who wants to move beyond metaphor—it is a book that you should read. Also I think if you're skeptical it may be worthwhile. Some of the biggest supporters of my book have been people who are naturally skeptical about the diversity question. Some have even cringed at the mention of the word diversity before they read it. What I was trying to do was to make a pragmatic argument. So if you're pragmatic I think it is a fun book to read. VB: How long did it take you to write the book from when you first started researching and drafting the manuscript? Scott Page: I taught a course about diversity and Tim Sullivan from Princeton Press said, "You really should turn this into a book." So in very short order I wrote a brilliant 600-page book that had every idea I'd ever thought of. It was a complete mess. It was a complete and utter mess. Tim said, "Well, that work happened reasonably quickly." And he went on to say, "If we publish these 600 pages, there will be people that will think you're amazing, but there are only about 24 of them." His advice was to constrain the book size, to decide what my main points are, to be more organized, to ruthlessly take things out, and develop some ideas further. That process was long and probably took me over a year. The research leading to the book took something like twelve years. VB: You include a lot of humour. Is that unusual for an economist's writing? How did you develop your interesting sense of humour? Scott Page: That's really funny. I don't think it's a slapsticky humour sort of thing. Scott Page: I went through after I had finished it and if there were any places where I would come across as even slightly slapstick, I cut those passages. Diversity is a heavy topic, a very serious topic. I really wanted to bring logic to the content and I knew that one thing if you've got to do if you want to get logic across and make it understandable is get people to relax. Get people to put their guard down. If anything, I think you want people to like you as an author. I wanted to make sure that the voice that came across in the book was one of: this is happy person. This is a person who can look at the world and laugh a little bit. This is a person who, just like me, is trying to make sense of things. I think that, had I been more didactic and serious, it would have much easier for people to misinterpret what I was saying. So near the end of the book I talk about the ketchup and I ask people where they store their ketchup and leave it a mystery as to why I asked that question. When I give public talks on this, depending on the crowd, I also ask that question because it is interesting that most keep their ketchup in the refrigerator even though it is not necessary for most brands. VB: I certainly think you appear to be human and you connect with the reader. Scott Page: That's the point. I'm just some guy from the Midwest and I have been working on understanding the importance of diversity for a long time. Isn't this topic pretty cool? I'm having fun doing this and I hope you have fun thinking about it and if we all think about it hopefully we'll get someplace better. VB: Dr. Page, where do you store your ketchup? In the refrigerator or the cupboard? Scott Page: In the fridge. But it could be in the cupboard, because it never gets cold. We go through a lot of ketchup. VB: Are there any questions I should have asked you about the power of diversity but didn't? Scott Page: I think the one question is, where is research going to go next? One thing that I've come to realize after writing book is, I've had this incredible opportunity to talk to all sorts of business, government, and academic leaders about their work. They are surrounded by people with very diverse perspectives, understandings, and concerns. And different senses of what are the problems and their solutions. The next set of questions I'm really intrigued by is, to what extent does leveraging diversity require disruptive institutional change? Let me give two very specific examples. One is the Supreme Court. Right now all their court clerks have law degrees. Why wouldn't each one of the court sittings have one clerk who is not a lawyer or is maybe a biologist, another an anesthetist or an economist or something equally diverse? Obviously the judges could go on the web and see what an economist thought or call up an economist, but they don't have any one of those people in their group who discusses these cases, who brings a different way of seeing things, and who helps them in the process of crafting and interpreting the law. I think that the Ability Model is a problem. This transcends to every sort of policy-making group or any time a board is put together; the requirement for membership is identified as needing specified credentials in order to even be allowed to apply. Obviously I'm not saying put the poet in the civics lab like I referenced in the book, but I think there are natural places where you would benefit from having people with expertise that seems somewhat orthogonal, involved. In what may be thought of as another extreme example, let's take the recent bailout by the federal government in the USA. Typically Congress takes a single path of legislation. They put together a committee to make recommendations. One thing that comes out of the book, the logic of the book, although I could have totally flushed it out, is why wouldn't you have two or three committees working with them, fire-walled off from one another? They would have no idea what the other committees are doing, what proposals they are coming up with. So let's take the most recent crisis. The broad range of economists were not getting calls to participate in thinking about the problems and identifying possible solutions using diversity of opinions in a positive manner prior to committing 700-billion dollars. One wonders what would be the result if economists were divided into three groups locked in three separate hotels. They would be permitted to access any information they want but they couldn't talk to anyone in another group. Then all three of them could come forward and say, "We've worked our butts off for the last 72 hours or 96 hours, and here's what we should do." We might have had bailout numbers that were $650 billion, $750 billion and $725 billion. I think to the extent that the American public believes that those were somewhat diverse groups with different input, the results may have been more understandable and supported. But don't restrict the membership of these groups to economists. Some might be all bankers and economists, some might be a mix of bankers and lawyers. Some might be foreign ministers from different countries, who knows? You have different groups, you have diverse groups all looking at the same problem. If they all come back with numbers that were in the ballpark of one another, I think that the data would have been more credible and the public acceptance of what was as going on might have been higher. We should have more faith in the fact that when you're making a decision that involves billions of dollars, it is wise to have multiple paths and then compare those paths against one another. Even within firms—can you imagine a firm allowing a shadow group outside the normal management structure to create an option for the firm's strategic plan? Then you compare it against your own. VB: That would be powerful. Scott Page: I think it is getting disruptive. You've giving up a ton of power. Scott Page: So I think that one thing I didn't anticipate is the extent to which there was a subversive, disruptive notion of decision making. There is likely power in having multiple groups independently work on a problem and you pick from among them. That could undermine existing single-hierarchical power structures but take advantage of diversity, of the difference. I didn't see the connection as strongly as perhaps I should have between my work and people who talk about the web, the information economy, horizontal management and other key trends. VB: Can we anticipate another book related to your work on the new problems? Scott Page: I don't know. Prior to this I was a mathematical economist who wrote papers that 20 people read. This is a rather abrupt change in what my life has been like. So one thing that I'm trying to figure out is where can I do the most good. Where should I put my particular skills to work? I had a particular set of ideas that I thought were worth sharing. Maybe that's the one time but for another book I would have to be convinced I've got more things that everybody should hear. Right now I'm back doing academic work. I'm trying to figure out what role does diversity play in complex systems. I'm writing a small technical book for Princeton Press about that. Certainly I'm getting a lot of pull from publishers and editors and agents who encourage me to write another book. Before that would happen I would have to feel like I had something very valuable to say that other people weren't saying. VB: Thank you very much Dr. Page. You've been very generous with your time. Scott Page: Thank you. This was great. Diversity produces benefits in generating ideas, solving problems and innovating. Scott Page provides a great deal of evidence to support this conclusion. He also demonstrates this fact using mathematical models and relates many empirical examples to by way of support. How to take advantage of the conclusion that diversity trumps ability, is worth exploring. IdeaConnection's model of including a diverse collection of experts—persons with excellent abilities—from a range of disciplines takes advantage of diversity. Scott Page's extensive models and empirical research support this approach as being effective. 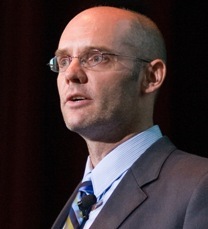 Scott Page is Professor of Complex Systems, Political Science and Economics at the University of Michigan. He is also an External Faculty Member of the Santa Fe Institute.